Last weekend Ash VK3FASH and I provided two radio type activities for the annual Armstrong 500 competition hiking event. The activities involved providing instruction on using the phonetic alphabet at one site, then using it to send various words related to the ‘Back to the future” theme from the second activity site. In between visits from the Venturer Scouts I was able to work some HF, mostly on 40 m using my FT450D and a linked dipole in a tree. I also tried out a new canopy/tent for the back of the car. Pretty cramped without a couple of extra poles to lift the door or side up to make some more room. I’ll try it again soon. 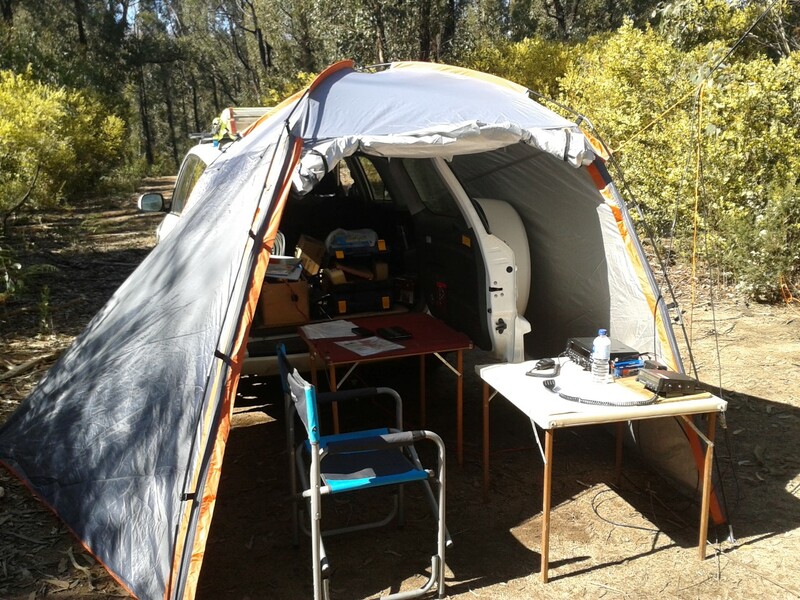 This entry was posted in Amateur Radio, FT450D, KRMNPA, SOTA. Bookmark the permalink.